Alpha is a live web dashboard that displays crowd-sourced information regarding nearby crimes, natural disasters, and suspicious activity. By logging in with your phone number or email, you gain access to a dynamic collection of real-time reports from people in the same area as you. Alpha gets critical information to you as soon as possible through Alphie, your very own virtual assistant. Alphie uses cloud communications and database integration to text you about nearby dangers so that you can live safely. 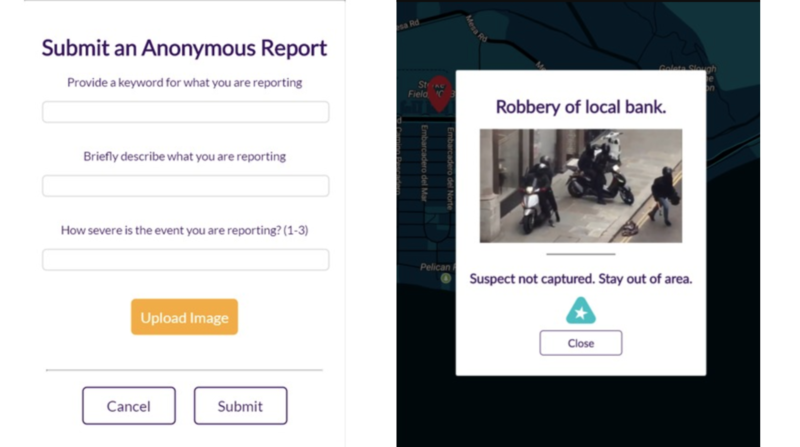 As a user of Alpha, you will also be able to contribute to an growing map of crime information in your area by submitting anonymous reports through Alpha’s user-friendly interface. We also created an administrator dashboard so that regional admins, such as emergency services personnel, can monitor and interact with community reports.